A Tribute To Norman Hollyn – Editor, Teacher, and Irreplaceable Friend. I was stunned at the news this week of the passing of Norman Hollyn. I’ve been trying to write something since I first heard the news, but, truthfully, there’s nothing I can write that adequately describes him. 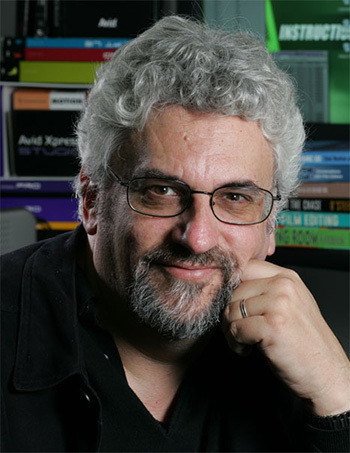 Norman was a frequent contributor to the Digital Production Buzz, a professor at USC, a film and music editor, and an inveterate lecturer at schools around the world. But, most of all, he was a good friend. I first met Norman in the summer of 2008. 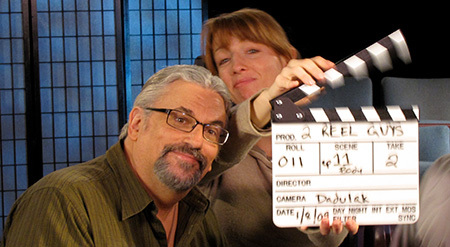 He invited me to lunch and, as we chatted, he said: “We should work together.” From that initial conversation came “2 Reel Guys.” This 32-part web series, which Norman wrote and we both hosted, taught the basics of filmmaking in short, ten minute segments. His goal was to share his knowledge of filmmaking with people who couldn’t afford to go to film school. And, as you watch, you see his love of the craft sparkle through every episode. The series took five years to fund, develop and produce. Every few months I’d find myself sitting at Norman’s dining room table collaborating on scripts for the next series of shows. We started out designing webisodes, but what these dining room table sessions became for me was a master class in filmmaking. I focused on technology, while Norman focused on story. As the series progressed, I realized just how on-target Norman was. 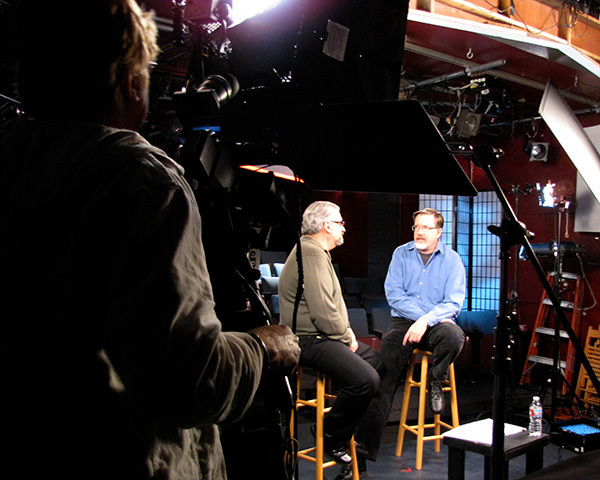 If you want to see Norman in action, watch any episode at “2ReelGuys.com.” You’ll see a master talking about a subject he deeply loves. Norman loved teaching. He taught his students, he taught our audience and, most of all, he taught me. He taught all of us to tell stories – by being a great story-teller himself. Over the years, I invited Norman to guest lecture for my classes. His passion and knowledge and humor never failed to impress. (I took notes like a student and shamelessly stole his ideas for future lectures.) He’s been on the Digital Production Buzz 14 times, the most recent being last November, sharing his love of story-telling and film. But it was his all-encompassing warmth that I remember the most. His kindness in answering student questions. His gentleness working with the crew during our long days of shooting. And his sense of humor. He had a career to be proud of, but he never took himself seriously. I sent him an email the day he died, inviting him back on The Buzz. I was looking forward to chatting with him. It was not to be. Today, as I write this, his voice echoes in my head: “Larry, it is ALL about story!” His work lives in our hearts, on the web, in his writings and in his students. It is reassuring knowing we are surrounded by his legacy. To his wife, Janet, and daughter, Elizabeth, I send my deepest sympathy. Norman was unique and he will be deeply missed. By all of us. Norman, it was an honor working with you. May you rest in peace. 7 Responses to A Tribute To Norman Hollyn – Editor, Teacher, and Irreplaceable Friend. Larry, my condolences for the loss of your friend. This is so sad. My prayers to his family. I am sorry for your loss Larry. Larry, thank you for sharing some gems of insight into the life of your good friend. My deepest condolences for your loss. So sad to hear the news of Norm’s passing. I never had the chance to meet him but I learned so much through 2ReelGuys. You may have struggled to write this tribute to your friend, but you did a fine job. I enjoyed 2 Reel Guys, and it’s sad to think that Mr. Hollyn’s voice has fallen silent. Thank you for this tribute. I was unaware of the “2 Reel Guys” series and just watched the entire first year of episodes. Norman Hollyn was clearly a joy to be around and to work with. His passing is a loss for all of us. We all would have enjoyed having him as a teacher and mentor. Thanks again, Norman Hollyn deserves a kind thought from all of us. Like others here I never met Norman but thoroughly enjoyed his knowledge of the craft. His Film Editing Room Handbook is a master class in classic cutting room prep and operation. It allowed me to train two assistants in my film rooms. The Lean Forward moment is timeless, and I have yet to crack it– it’s such a great title. Larry, you’re fortunate to have known and worked with him. Thank you for conveying the sad news, and of course, condolences.